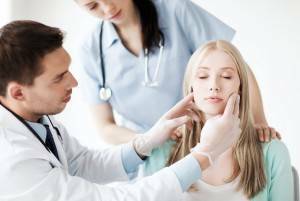 Will I really look younger with botox and fillers? Looking younger is a complex task. But if each feature of facial ageing is tackled you can easily look a lot younger. Good skincare and regular chemical peels will boost the plumpness and quality of your skin making your skin look younger. Botox can reduce crow&apos;s feet and frown wrinkles. Fillers can reduce the appearance of fine wrinkles and return volume to an ageing face making it appear younger. Jowls (descending cheek fat pads) are best tackled with PDO threads and a great brow lift can also be achieved with threads which also gives a rejuvenation of the upper face. Neck wrinkles can be lessened with the botox Nefertiti lift and PDO threads can tighten up an ageing neck. Polydioxanone threads are resorbable sutures which are placed under the skin and into underlying tissues. They make use of the body&apos;s healing action to cause tightening of ageing and sagging skin. The effect of botox injections usually last 3-4 months, although it could be shorter for those individuals with strong facial expressions. What can go wrong with botox injections? Botulinum toxin inhibits the action of muscles locally in the area of the injection. As long as the dosage and correct area are targeted by your qualified practitoner, the injection should be successful. As the effect only lasts for 3-4 months, any undesired muscle inhibition will be reversed. Mild bruising may occur but side effects are rare. Softer fillers for fine lines last about 9 months while thicker fillers placed more deeply for volume can last up to 2 years. Very occasionally, the filler material could be injected into a blood vessel. This can cause discomfort. This should be reversed with injections of hyalase which dissolves the filler material. Generally hyaluronic acid dermal fillers are very safe as they are a naturally occuring substance. Some mild bruising and swelling is common but is short-lived.